What do you love to eat when you’re just cooking for two? If you’re looking for a date night at home meal option or just looking for a great meal to enjoy, I have one for you! 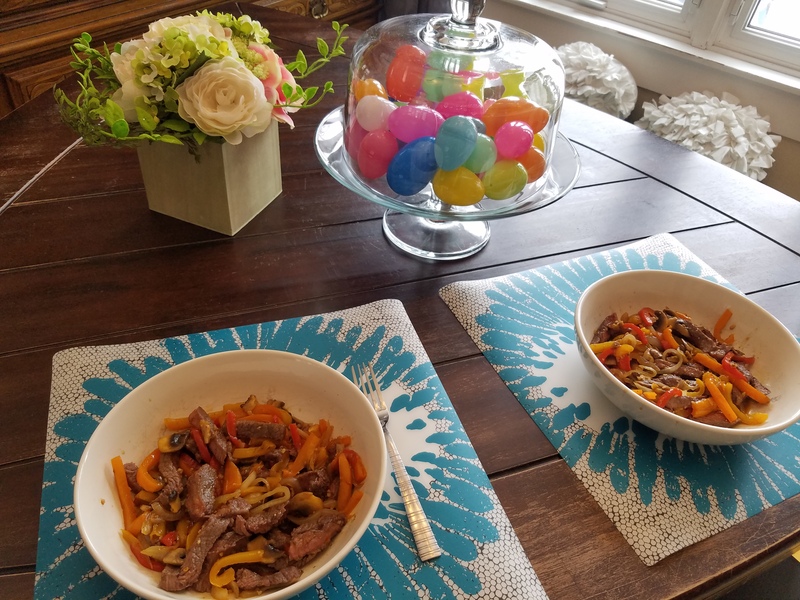 My husband and I love eat a stir fry for lunch or dinner. 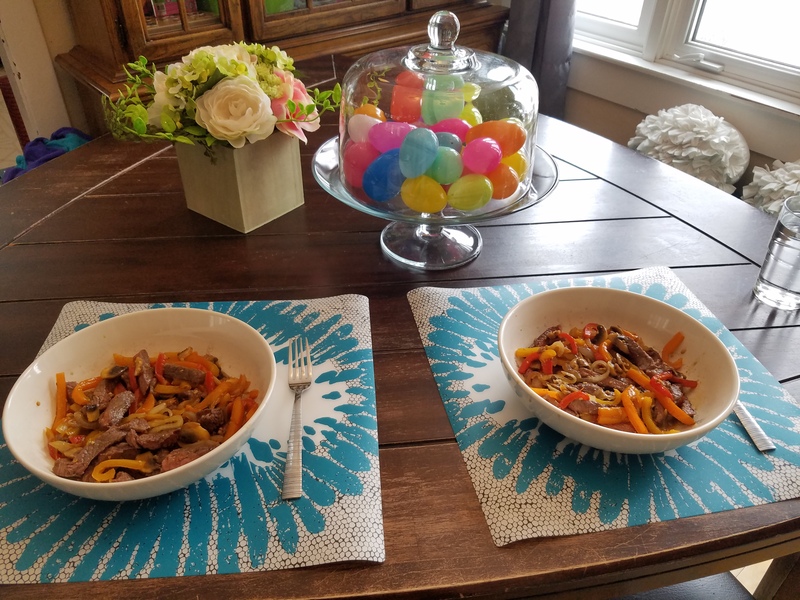 Our favorites are beef broccoli stir fry and beef pepper stir fry. 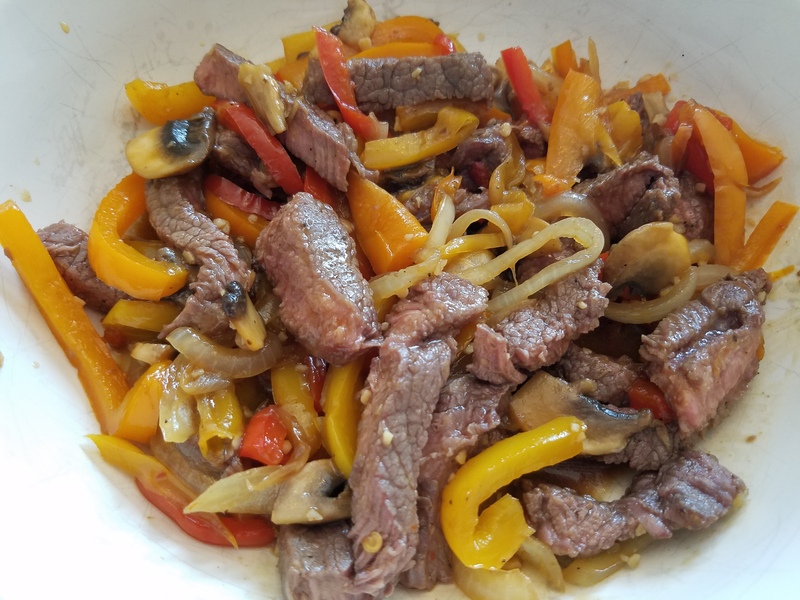 In the beef pepper stir fry, the sauce gives it a sweet flavor to the beef and peppers. You can serve this stir fry with or without rice. 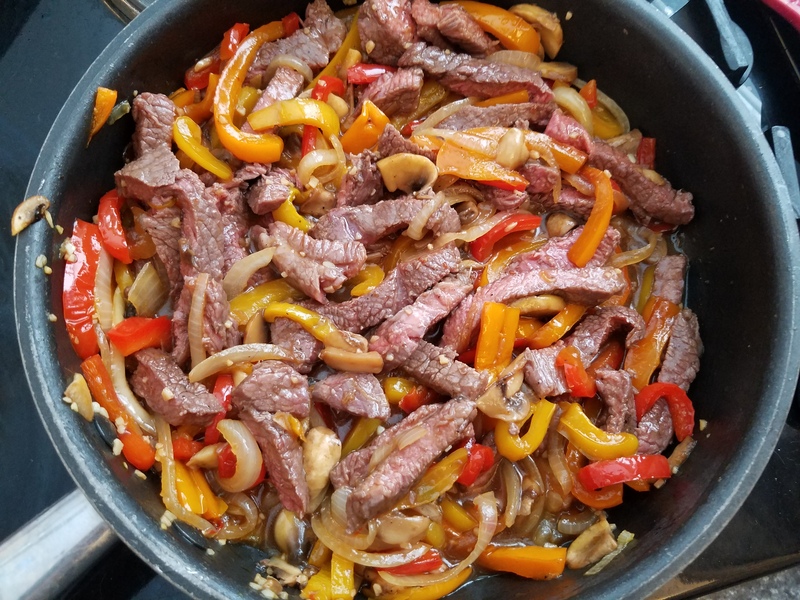 Below is recipe for my beef pepper stir fry, which is a great option for lunch or dinner. Add coconut oil to wok; melt. Add sliced peppers; cook for few minutes. Add onions; cook for few minutes. In separate pan, cook steak whole for 3 minutes; flip and cook for 3 minutes; flip again and cook for additional 1 minute. 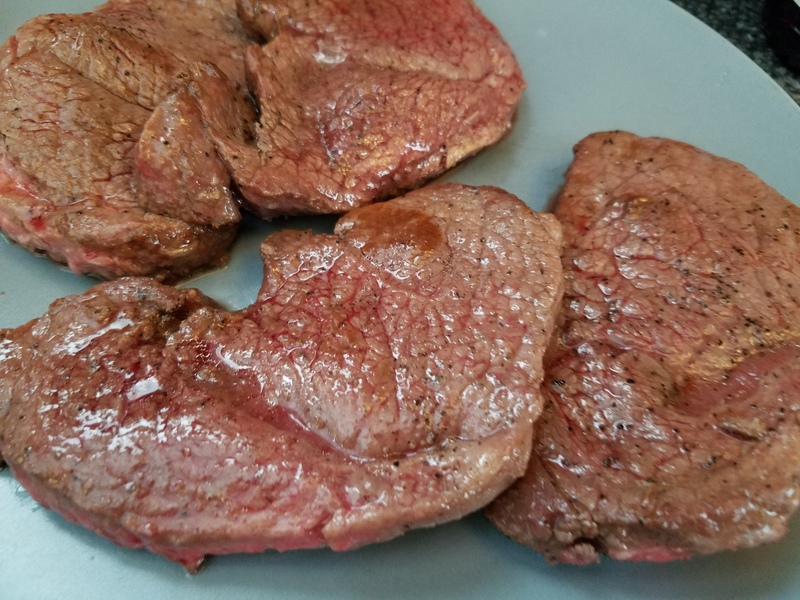 Remove steak from pan; rest steaks then slice. If you’re using rice, cook rice pouch in microwave for 90 seconds. Add mushrooms and garlic to wok; cook for couple minutes. Add sauce; cook for couple minutes. Add sliced steak to wok; stir. Add rice to large bowls. Add steak and pepper mixture on top of rice. Do you love cooking stir fries at home? 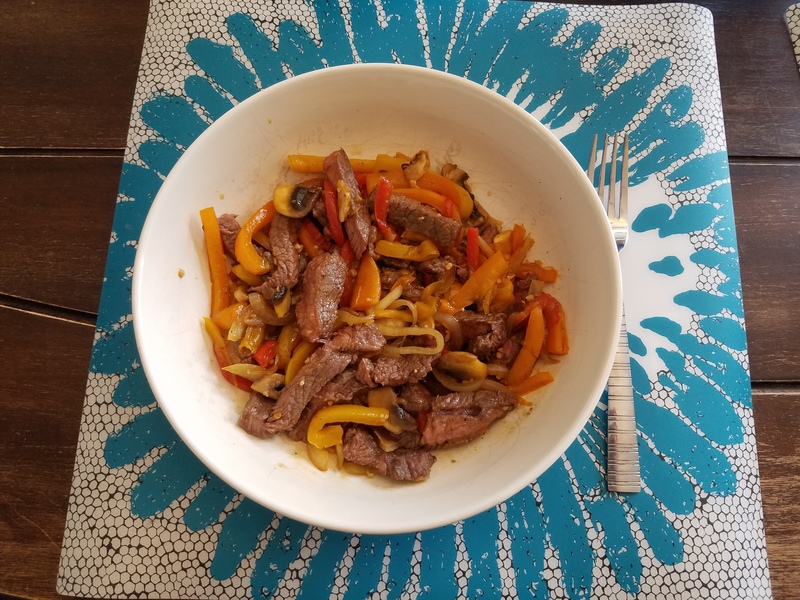 You’ll love this beef pepper stir fry! Enjoy your dinner with your significant other! Do you want more ideas for lunch or dinner for two? I would love to create more meal posts focused for two people. This post is part of a mini post series called Dinner for Two, which is on the subject of meals for two people. I’ll talk about meals my husband and I enjoy eating together. I love stir fry!! This recipe looks especially delicious. Thanks for sharing! That looks soooooooo good! Saving this recipe to make for my family sometime soon. This looks sooooo good. Saving this recipe to make it sometime for my family. This looks awesome! 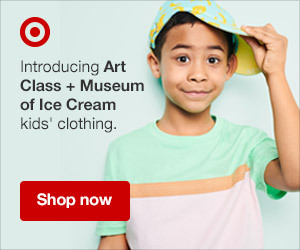 I know my husband would love it. I’ll have to stick it in the rotation! My husband will love this! Thanks for sharing. 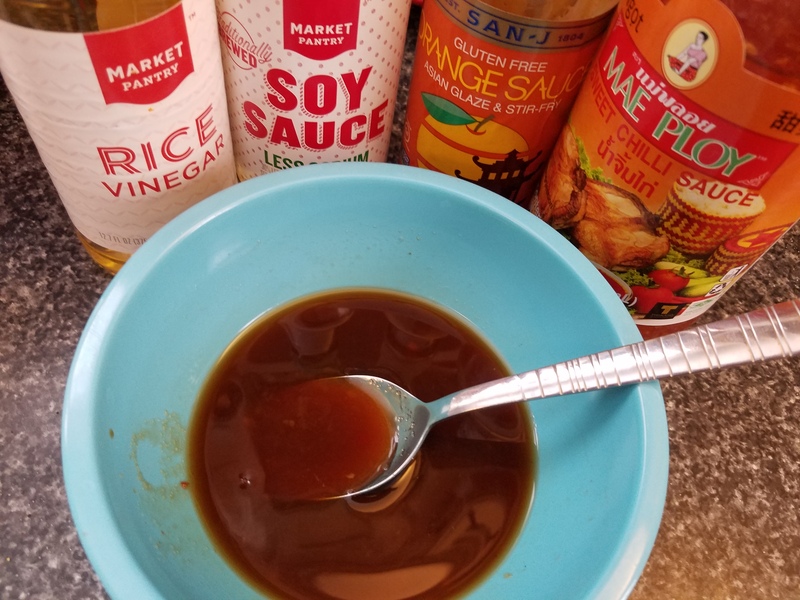 Your dinner looks amazing, and the sauce makes it for sure! 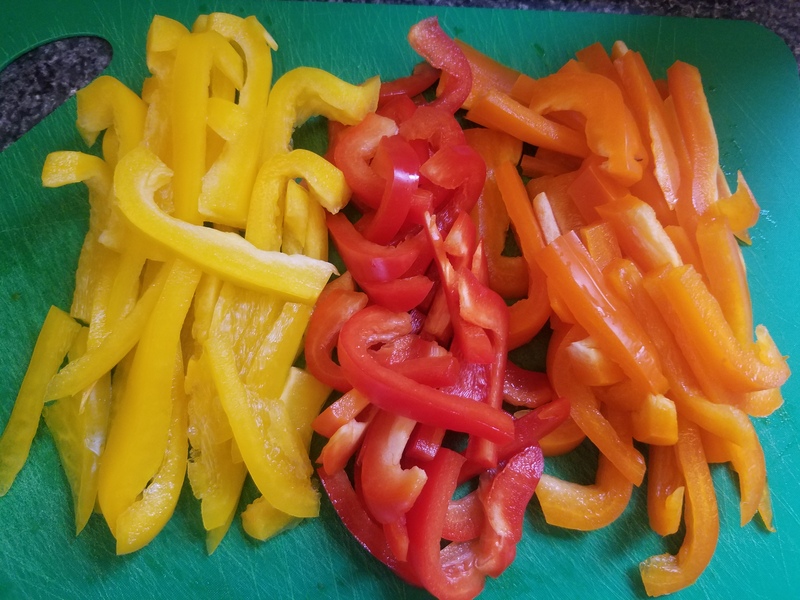 Colored peppers are my favorite, and I sometimes buy them frozen to save time! 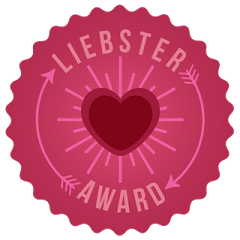 Pinned for later!!! These look more like fajitas for me. 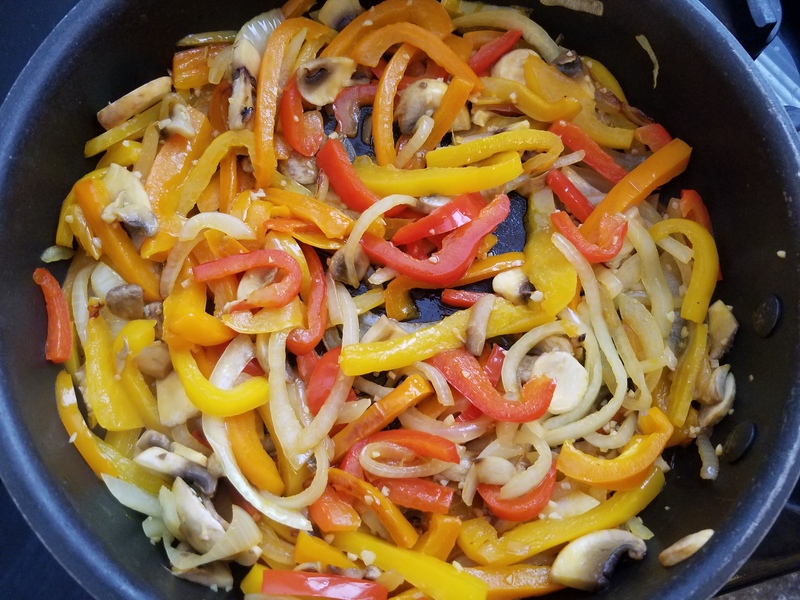 Considering I know how delish fajitas are, I’m sure this stir fry is amazing too. Such a simple delicious recipe!! 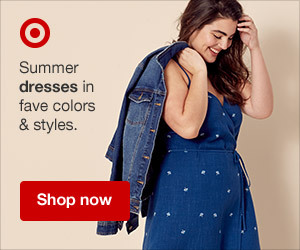 Perfect for date night! It’s been SOOOO long since I’ve cooked for two… but this looks so good! We do love a great stirfry! 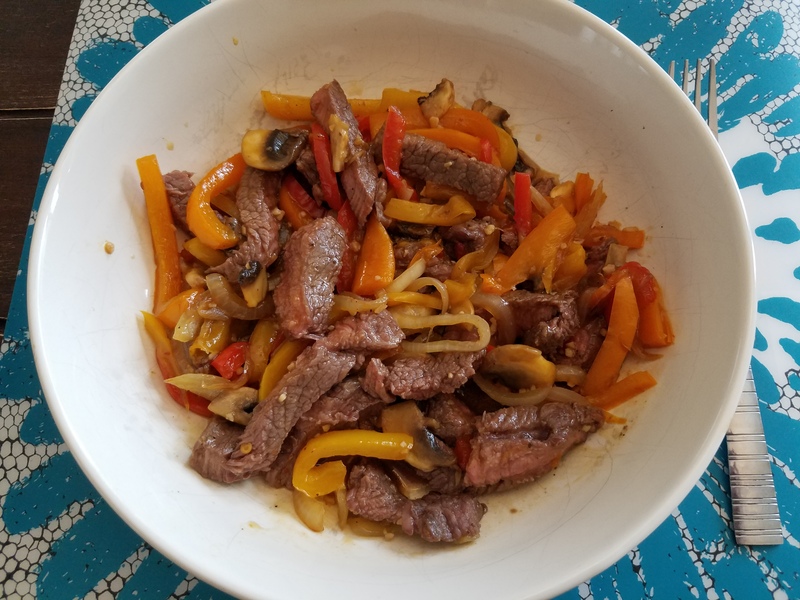 Pepper steak is my go-to at any Chinese restaurant! I absolutely love it, and your recipe looks amazing! Will have to attempt this at home now! This looks tasty! We’ll have to give it a try! Thanks! This looks like something my husband would love. Much more healthy than the take out we’ve been doing. This makes me want to have a second dinner!